Whatever you want to get done in 2019, the beginning of the year means it’s time to start planning. You might want to focus exclusively on revenue, build a strong team with the help of business finance, or get processes right. To make the next 12 months work well, you need to plan for success all year round. Here’s how to get 2019 off to the best start. You know the old saying – anything worth doing is worth doing properly. 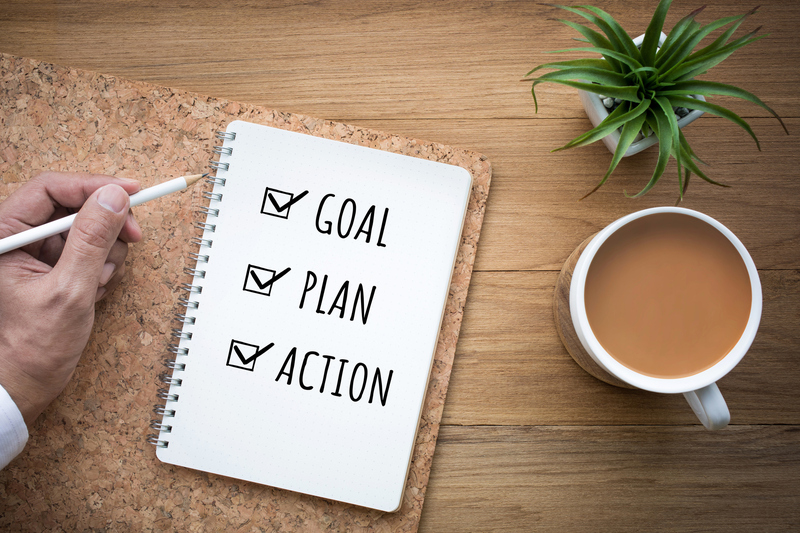 Even relatively small goals will have multiple steps, and you’re more likely to tick them off in the right order if you map them all out at the start. You can do it any way you want – visually on paper, in a spreadsheet, or even in a straightforward list. ‘Quick wins’ can be found occasionally, but marketing is a long game most of the time. Moving from month to month isn’t a great strategy, because you’ll lack direction. Instead, sit down and decide on your goals for the whole of 2019. You should consider the channels you’re going to use, how you’ll speak to your different audiences, and what your budget is. Remember those goals you set out way back at the start? If you haven’t revisited your original business plan, it’s helpful to go back in time and see what you’ve already achieved and what you’re still not ready to do. You’ll refocus yourself, and be able to reassess what you want to get out of 2019. Most years are a muddled mixture of good and bad, and 2018 was probably no different. Maybe you overspent on something, or you think you should have dealt with a staff dispute differently. Whatever wasn’t great about 2018, you now have the opportunity to change it. Common goals are really vital in a small business. If your team are all working towards the same goals as you, they’ll be united and a lot more productive as a result. Keep them informed, tell them what you want to get done in 2019, and they’ll be able to help you. It could be once a week, or every 3 months. Set regular dates throughout the year to keep yourself on track, edit your goals, and review your need for business finance or investment. Priorities change and deadlines are extended, it’s all very normal in a small business. Instead of letting these changes completely derail your 2019 plans, check in with them regularly. Capify can help you finance big and small changes in your business, from building an extension to developing a new product. We provide simple, quick and responsible access to finance, helping small businesses expand and make the most of opportunities for growth. Your business could raise over £150,000 with Capify with business finance. Get a quick quote in just 60 seconds. Find out how much you could raise for your business today.